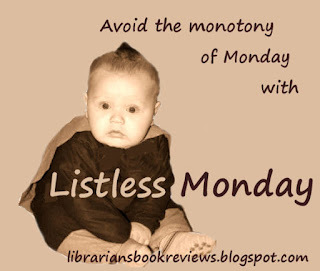 And it's time for another...Listless Monday - the most exciting feature in the book blogging world :) I decided this would make a fun display, if only I had fun books to display and a place to put them. Call it a virtual Pop Quiz and tell me if it's True or False. The Mostly True Adventures of Homer P. Figg by Rodman Philbrick? When you say display do you mean like at a store with all the books you've listed? Or, on a bookshelf by each other? Or, both? Unfortunately, I haven't read any of these, but based on their covers alone, I think they'd look nice by each other. More like at a store (or I was thinking at the library when they have displays set up by theme). I think it would be fun to have a truth or dare one too, but I'm not sure I can come up with books for that!